QUOTE | “I estimate the basic hardware will cost around $650, so if Microsoft wants any kind of margin at all, Scorpio will have to retail for $700 or more.” - IDC analyst Lewis Ward is bracing for a bit of sticker shock on Project Scorpio. QUOTE | “At the end of the day we are still a consumer product. We want to hit the price-points where consumers want to purchase this. 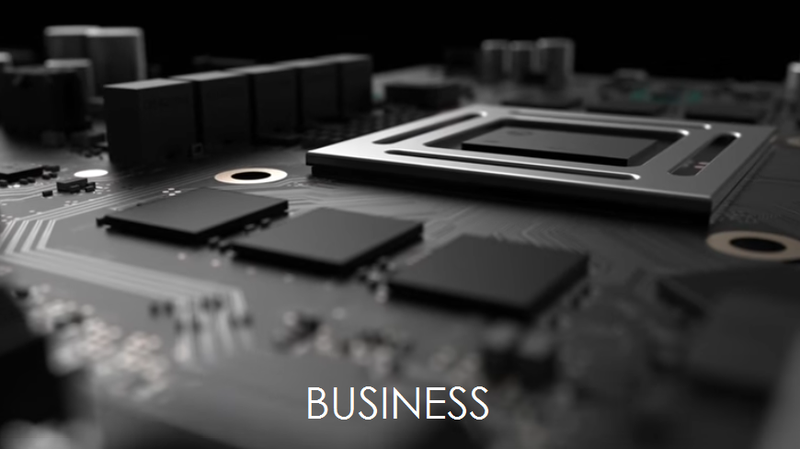 It’s about balancing the two.” - Kevin Gammill, Group Program Director of the Xbox Core platform, emphasizes that Microsoft understands the need to keep Scorpio’s price down. QUOTE | “We learned you can dig a really big hole and just pour money into it and it never stops.” - Coldwood Interactive creative director Martin Sahlin, on what the Unravel studio learned from its ill-fated, VC-funded free-to-play project OnGolf. QUOTE | “We got the code across onto Switch - or at least certain parts of it - in a matter of hours, so we started becoming more confident that we could achieve what we wanted and within the timescales we were looking at. Within seven days, we had it fully playable.” - Sumo Digital business development director Ian Richardson shares the not-so-winding path Snake Pass took in its port to the Nintendo Switch. QUOTE | “We’re human beings and there’s a lot of research out there that shows we’re actually a lot happier when we get exercise, when we go outside - and outside in nature in particular. I think it’s a problem for us as a society if we forgo that and spend all of time in a Ready Player One-style VR universe.” - John Hanke, CEO of Pokemon Go developer Niantic, has concerns about VR becoming too good for our own good. QUOTE | “You see the world in a slightly different way when you’re trying to break things all the time.” - A quote attributed to former FuturLab production assistant and QA tester Dave Gabriel, who stepped up and helped the studio get over some key hurdles on its first VR project. Gabriel has since been promoted to designer. STAT | 26% - Respondents in a survey of VR professionals who said their VR business posted disappointing growth in 2016. 46% said their growth was strong or very strong. QUOTE | “I would not see it as a Prey game. I would see it as a game from Arkane that is called Prey. The name is a really good name, and that’s the part that matters.” - Arkane Studios lead designer Ricardo Bare explains why the studio’s upcoming Prey is named Prey, even though it retains essentially none of the key elements of the original Prey, or its cancelled sequel Prey 2. QUOTE | “The real adventure was actually to make the game and sign with a publisher that wasn’t dead by the time of the release. The first three publishers died, the fourth was the right one.” - Frogwares CEO Waël Amr discusses the challenge of getting the Ukranian studio’s successful Sherlock Holmes series off the ground. QUOTE | “If you decide to stream past [the in-game date] 7/7 (I HIGHLY RECOMMEND NOT DOING THIS, YOU HAVE BEEN WARNED), you do so at the risk of being issued a content ID claim or worse, a channel strike/account suspension.” - Atlus threatens players to follow the company’s streaming guidelines for Persona 5. QUOTE | “If you disagree with everyone in the room, it might be because you have a vision.” - Team17 CEO Debbie Bestwick offers some advice during a keynote address at the London Games Festival’s Games Finance Market.